Finding relevant and appropriate Google Sheets activities for middle school students isn’t easy. You need activities that are engaging, easy to teach, and meet your standard requirements. While you could make your own activities, that takes a lot of extra time (especially if you aren’t a spreadsheet whiz), and you never know how the activity will go in your classroom. In this blog, we’ll give you an overview of each resource to help you decide which one(s) will work best in your classroom! Alice Keeler is a teacher and author who dedicates her spare time to helping other educators successfully use technology in the classroom. One way she does this is by blogging about educational technology and teaching strategies. Her blog has a handful of lesson and activity ideas, including a free Google Sheets Student Practice Template. The activity is broken into two self-guided sections: steps and practice. The steps portion teaches students the basics of Excel and lists instructions for students to follow. 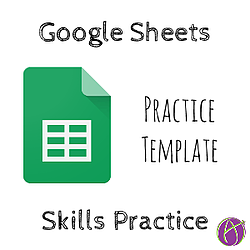 The practice section is task-based and requires more in-depth knowledge of Google Sheets. The entire activity is self-guided so you can use it however best suits your syllabus. Some teachers instruct students to work through it during class as the teacher observes and answers questions. Others assign the activity as overnight homework and review it the next day. A great aspect of this activity is that it’s easy to modify the original template. You can quickly review and revise it to ensure students are practicing skills you’ve already covered! Overall, this activity is a perfect hands-on way for you to reinforce your students’ Google Sheets skills. But if you’re looking for more of a combination of a classroom lesson with reinforcing activities, the next option could be just what you need! Gavin Middleton is a well-known publisher on Teachers Pay Teachers (TpT) -- an online marketplace where educators can share, sell, and buy resources like lesson plans and activities. Middleton is a computer and business teacher and has added more than 325 resources to TpT over the years. That includes a download for teaching Google Sheets in middle school. This download costs $5 and includes a lesson plan, lesson materials, and student activities, all with screenshots and clear instructions. The lesson begins by introducing Google Drive and then segues into Google Sheets. The included PowerPoint has great screenshots with labels and tips to ensure your students get the basics down pat. It’s a great idea to use the PowerPoint presentation with your class before letting students jump into working individually. Once you’ve gone over the basics, have your students work through the activity on their own! What’s great about Middleton is that he takes the time to update his work with the latest lessons and activities. The original Google Sheets lesson is a few years old, but Middleton revised it in 2018 to align with the current version of Sheets and add more content! If you’re looking for a great introduction to Google Sheets for your students, this is it. If you want something more in-depth, check out the next resource! “Cluney’s Classroom” is another publisher on TpT heavily focused on helping other educators include projects and collaborative learning in their classrooms. 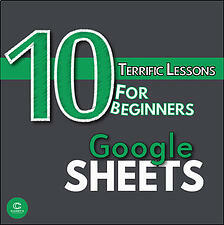 One of the most popular products is a bundle of 10 Google Sheets lessons with activities. Each of the lessons includes a “teacher’s manual” with setup information, teacher tips, instructions, and sample answers. In addition, the last “lesson” is a larger project that involves students using multiple applications collaboratively -- a great ending to your whole Google Apps unit! Overall this bundle is packed with a ton of resources to help you teach Google Sheets with activities every step of the way. The only thing to keep in mind is the cost for what you get! If you’re like most computer applications teachers looking for Google Sheets activities, that price tag might not be justifiable for one topic. Business&ITCenter21 is a digital curriculum software with hundreds of hours of lessons, activities, and assessments to teach computer applications in middle school. The Google Sheets Essentials module gives an overview of the essentials of Google Sheets, such as rows, columns, and cells. In addition, students learn to enter data, use formulas and functions, and format data. The module is made up of 10 hands-on lessons, 1 project, 2 quizzes, and 1 module test. In total, the Google Sheets Essentials module contains 7.5 curriculum hours of content. That means your students will get an in-depth overview and a lot of practice with Sheets. The Google Sheets Fundamentals module provides more information on Google Sheets, including relative and absolute cell references, functions, and spreadsheet formatting. The module is made up of 7 hands-on lessons, 1 project, 3 quizzes, and 1 module test. In total, the Google Sheets Fundamentals module has 11 curriculum hours of content, including even more activities for students to hone their skills. 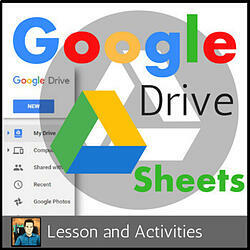 Between these two modules, you’ve got more than just Google Sheets activities. You’ve got a well-developed curriculum to help students effectively use the application. Overall, Business&ITCenter21 is the only resource on our list that includes a full package of teacher resources, student content, and assessments. The best part is that Business&ITCenter21 has more than just Google Sheets lessons and activities. There’s a full Google Apps curriculum, plus modules to teach digital citizenship, keyboarding, and other critical topics for middle school computer classes. Along with the curriculum content, Business&ITCenter21 includes a full learning management system to help you manage your class, monitor student progress, and grade student work. Plus, because the system is digital it’s regularly updated to keep your lessons current and relevant. No more searching every time you need a new lesson or activity! Business&ITCenter21 is here to make your life easier. Whether it’s teaching Google Sheets, Slides, or Docs -- everything you need is right here! 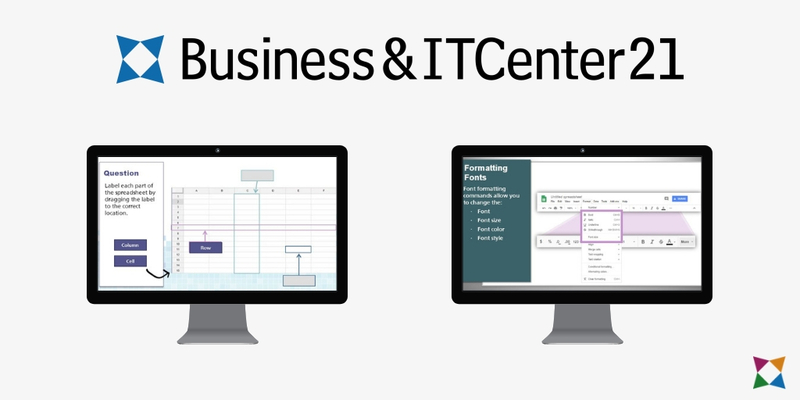 Click below to learn more about how Business&ITCenter21 works. 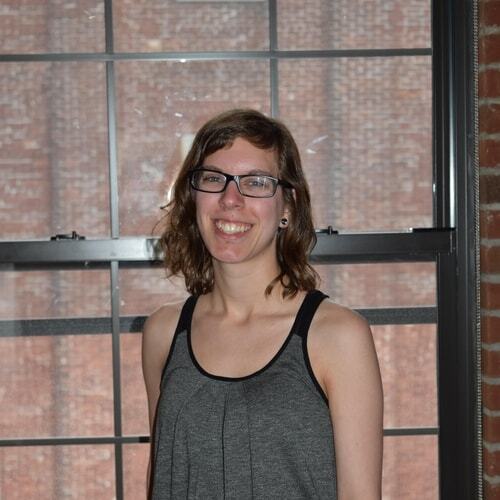 Bri writes content to help teachers and students succeed in the classroom. In addition, she runs the AES Educator Community group to help teachers collaborate from across the country.